This Mother’s Day, invite your kids to design their very own flower crafts. The Wikki Stix flower crafts are simple enough for even younger children to create a special gift independently. 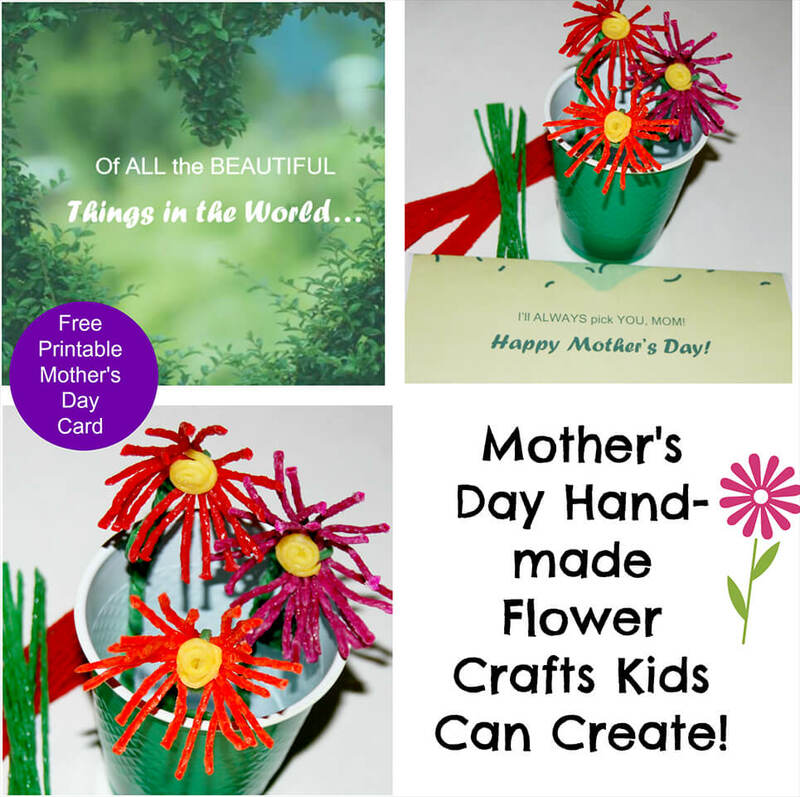 Gather your Wikki Stix, print the free card, and make a unique handmade gift for mom this Mother’s Day. Invite kids to choose the colors of Wikki Stix they want for their flower crafts. 15 Wikki Stix are needed for each flower (kids can choose to make their flowers all one color or choose any colors of Wikki Stix desired). Cut all 15 strands of Wikki Stix in half (Wikki Stix can be cut with safety scissors, too) and gather all the cut strands into one bundle (see photo below). Wrap a green Wikki Stix around the center of the bundle and twist closed. Separate all the individual Wikki Stix strands to resemble a flower. Kids can create the flower’s center with a Wikki Stix pinwheel. 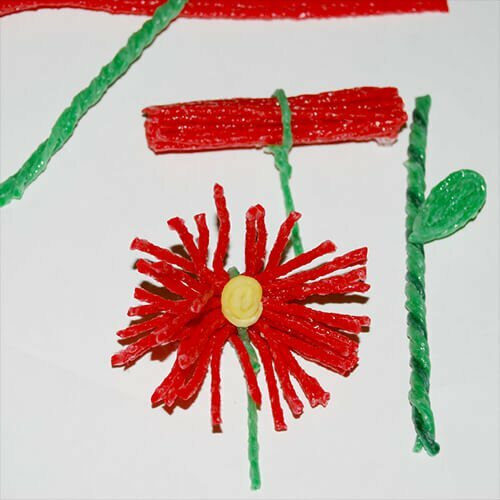 Simply wrap one Wikki Stix around itself to form a tight spiral and press onto the center of the flower craft. 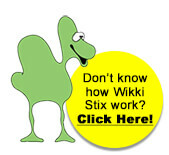 Choose 3 green Wikki Stix and twist all 3 strands together to make a sturdy stem. Kids can make the leaves for the flower with cut pieces of green Wikki Stix formed into teardrop shapes. Press the teardrop shapes firmly to the Wikki Stix created stem. 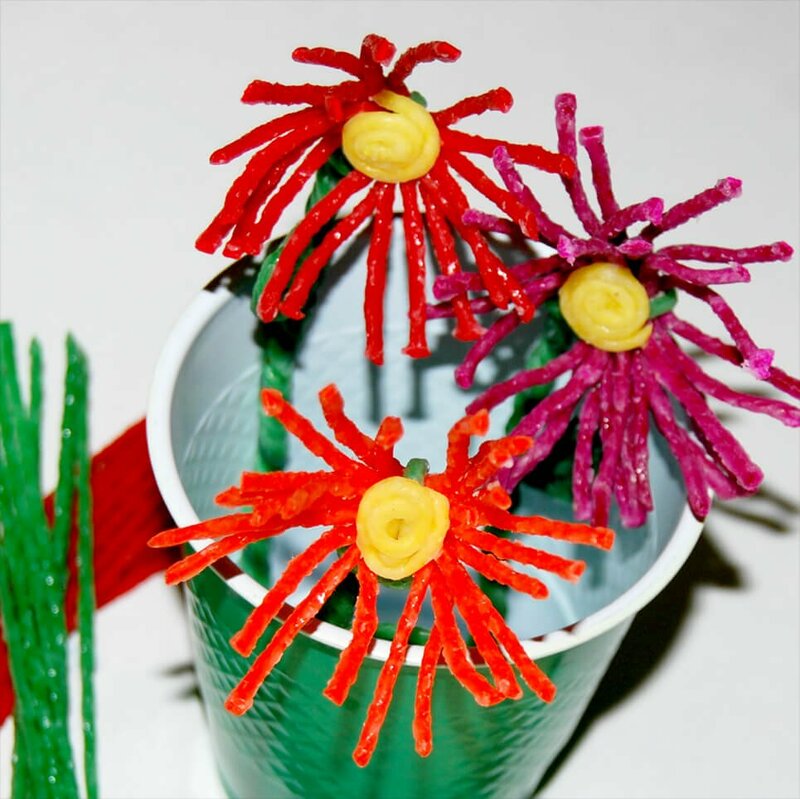 Kids can then attach the created flower craft to the stem by wrapping the green Wikki Stix from the flower around the created stem. Press the flower firmly in place. The Wikki Stix flower crafts make beautiful bouquets. Kids can wrap the created flowers in parchment paper with a ribbon bow or place the created flowers in a cup (or vase) to gift to mom. Print the FREE Mother’s Day card to accompany the Wikki Stix flower crafts here (download the PDF card file here).